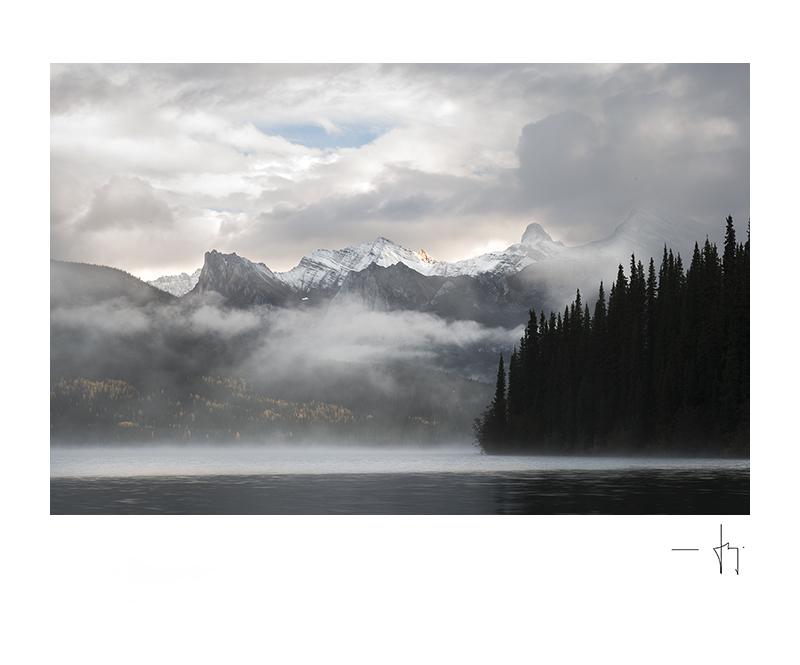 Story: Recently, I returned from a trip to the Northern Rocky Mountains of BC. 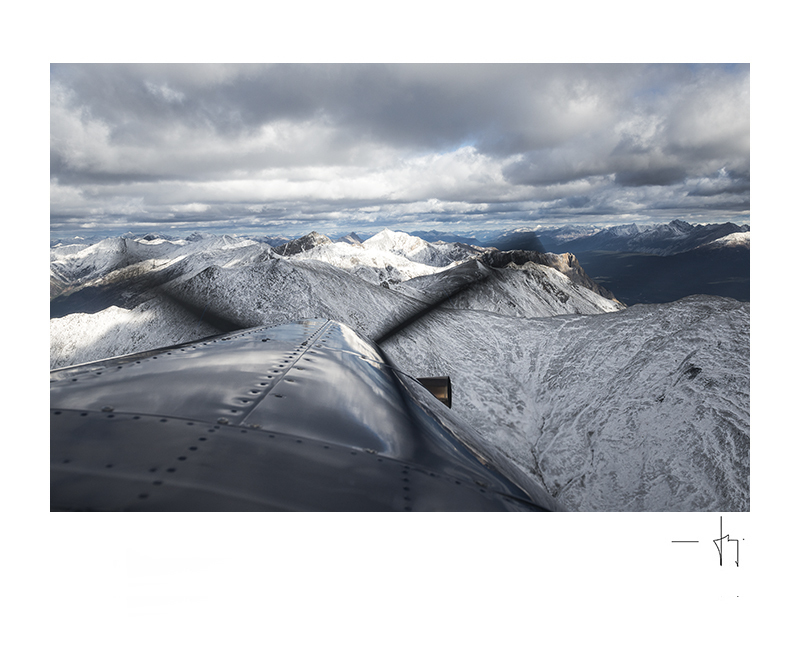 In total, four thousand five hundred kilometers of driving and two hundred kilometers in a float plane to reach a region known as the Dune Za Keyih Protected Area in the Northern Rocky Mountains of British Columbia. It is the furthest away from human civilization I have ever been. 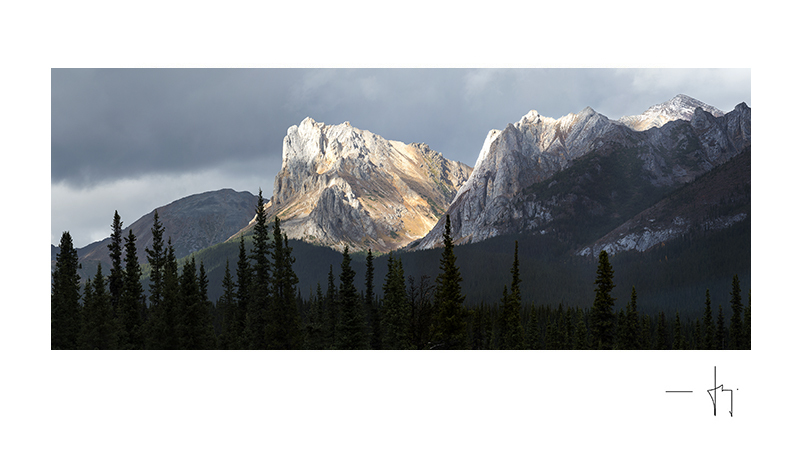 A number of people have asked me to do a special blog post of images from the trip just to see what some of the most remote wilderness in BC is like. So, I have put together a few images from the trip with a little bit of a description of some of the more interesting moments. The Alaska Highway is an intimidating road. It seems endless and is very remote. There are places with hundreds of kilometers between dwellings, no cell phone coverage and wilderness as far as the eye can see. In winter, the road turns in to sheets of ice with blowing snow and temperatures as low as -40c. It is not a place for the faint of heart. 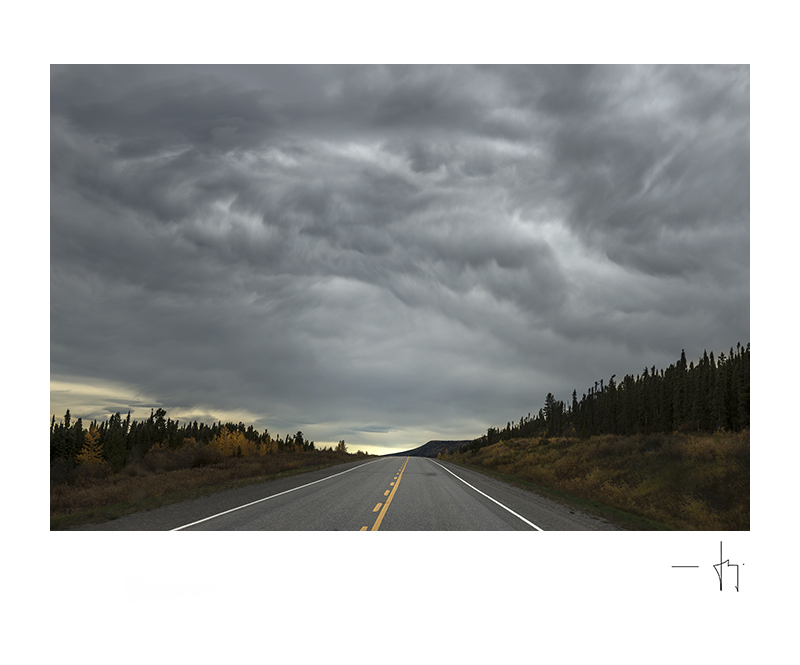 The image above was taken from the center of the road towards an incoming storm. The clouds are completely unmanipulated in any way...this is how it really looked. 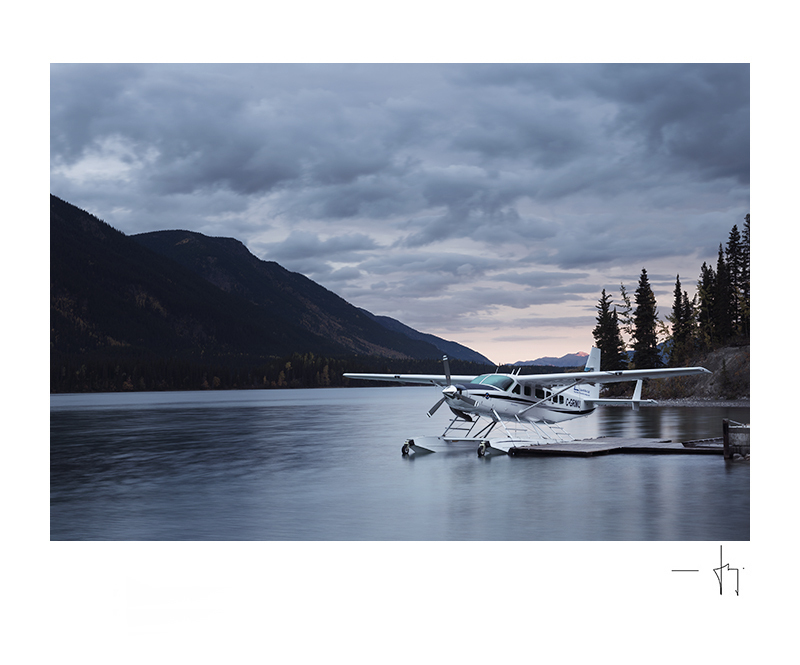 Finally, after 24 hours of driving, we reached the float plane base at Muncho Lake, just off the Alaska Highway. The morning of our flight, I took this image of sunrise at the lake. We flew to our final destination, South Gataga Lakes in the Zune Da Keyih Protected Area, with Liard Tours. Liard Tours is owned by Urs Schildknecht and his wife. 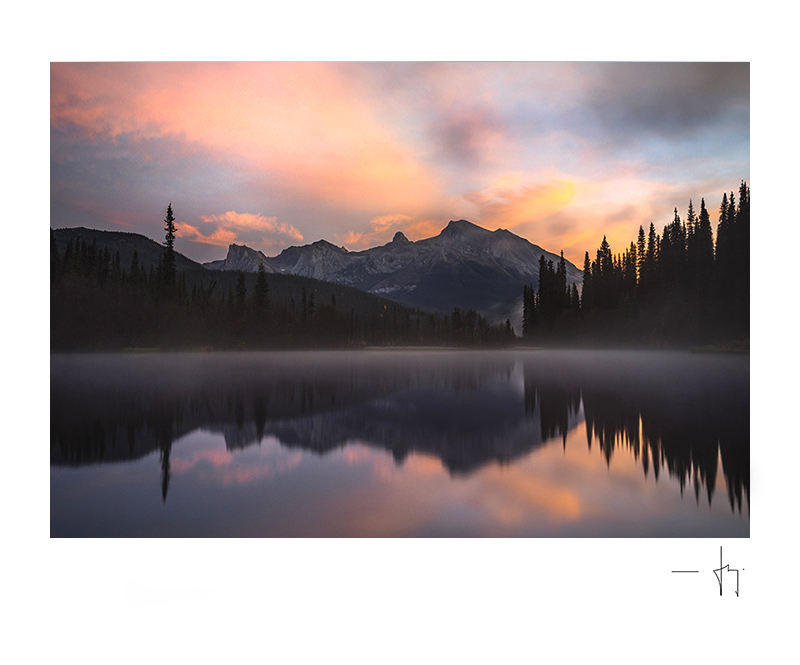 They run the Northern Rockies Lodge and ferry fishermen, hunters, and wilderness enthusiasts throughout the Northern Rockies. 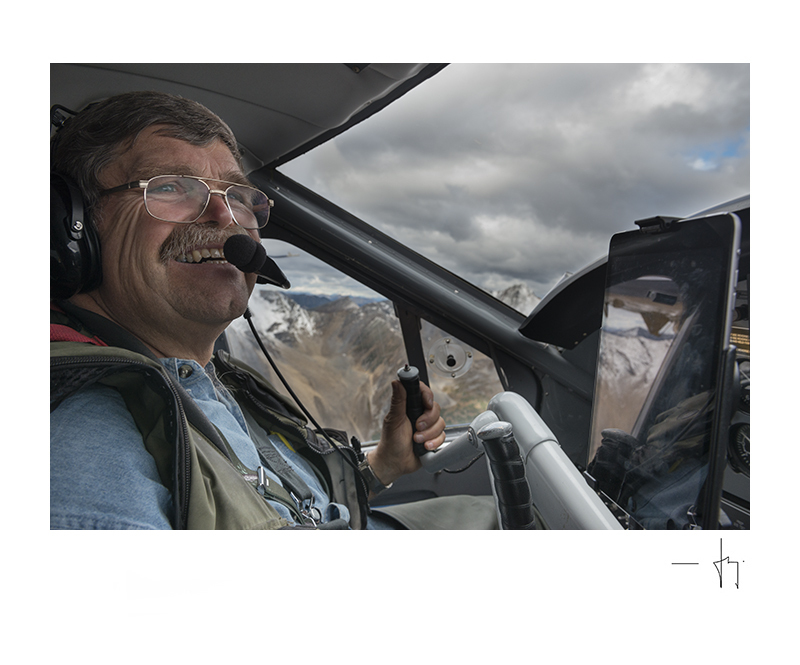 Urs is the pilot and he has a number of beautifully maintained planes from which to choose. 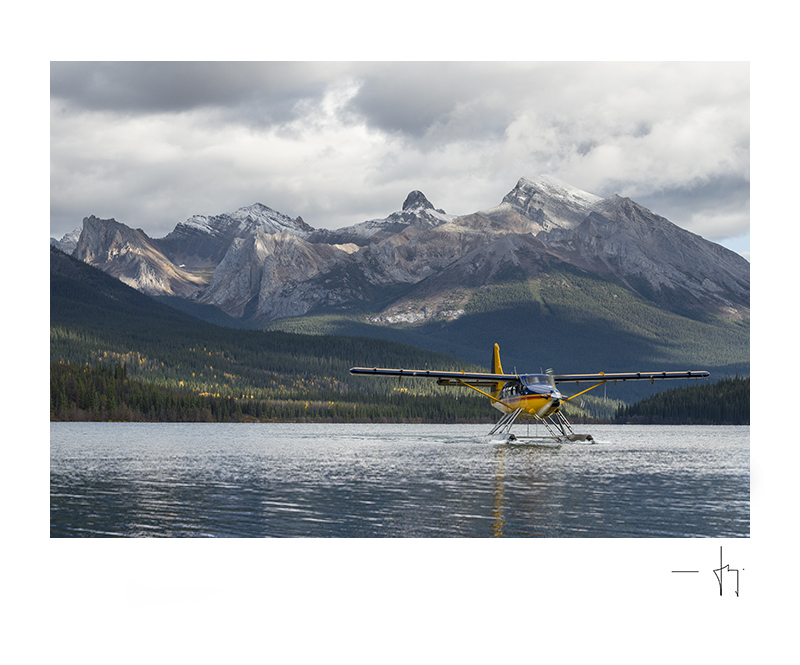 The image below is of one of his planes docked near the lodge at Muncho Lake. The plane we flew in on was a gorgeous single engined Otter. The image below is of Urs, our pilot. flying us over the mountains near Gataga Lakes. Urs is a consummate professional; calm, experienced and skillful. I never had the slightest concern about our safety, which is saying something in a region as remote and potentially dangerous as this. At last we arrived at our destination, a small cabin on the South Gataga Lakes chain. 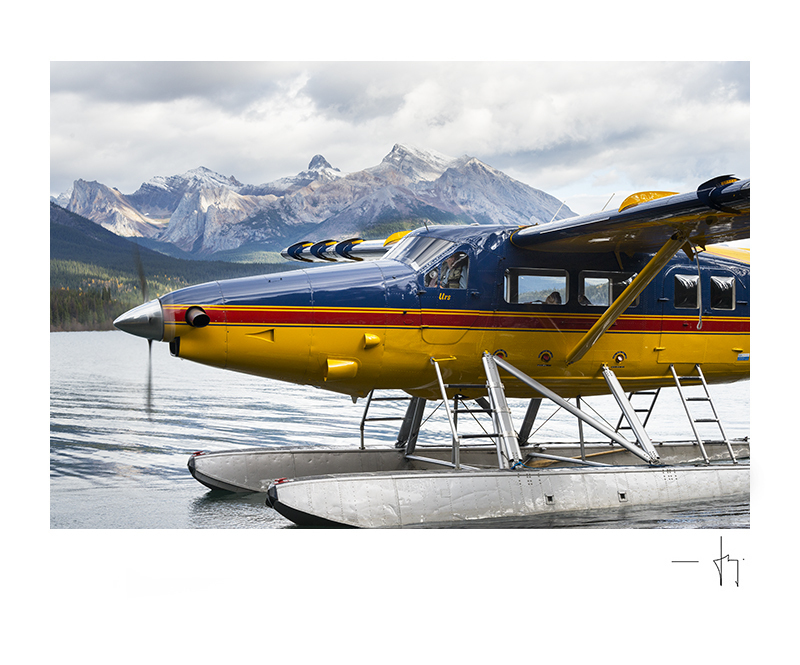 The image below was made on the day we landed from a small bay near the cabin. We had 7 nights at the cabin to fish, hunt, and photograph. The weather was typical of the mountains, highly variable and cold. In one day we had frost, fog, mist, pouring rain, hail, sunshine, rainbows, and howling wind. At other times it comes alive with saturated hues and succulent light. And then, all of a sudden, it was time to come home. Below, Urs arrives in his Otter to take us back to Muncho Lake. 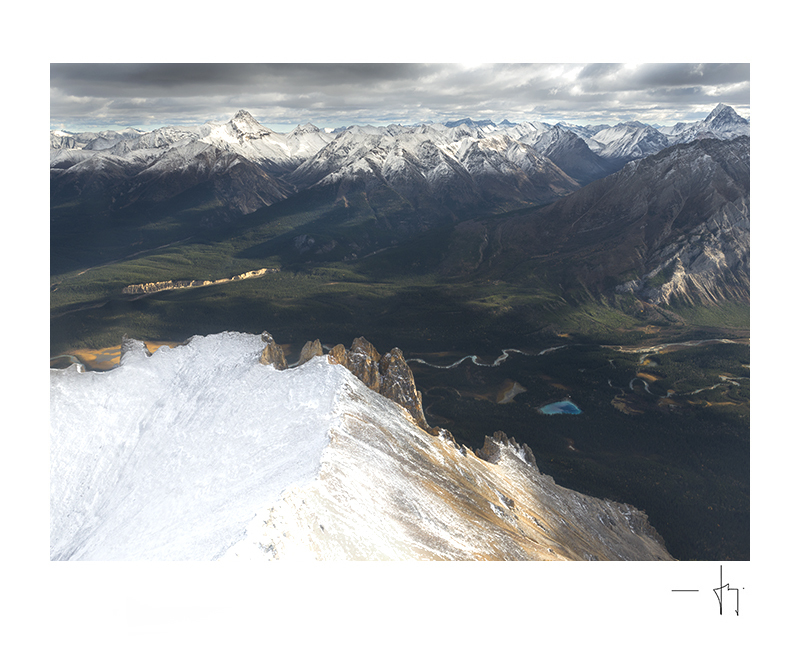 We took off and flew above the mountains for a better view of our surroundings than we had on the trip in. This is an image from the co-pilots seat in the front of the plane. After a bumpy ride over the mountains, Muncho Lake came in to view. 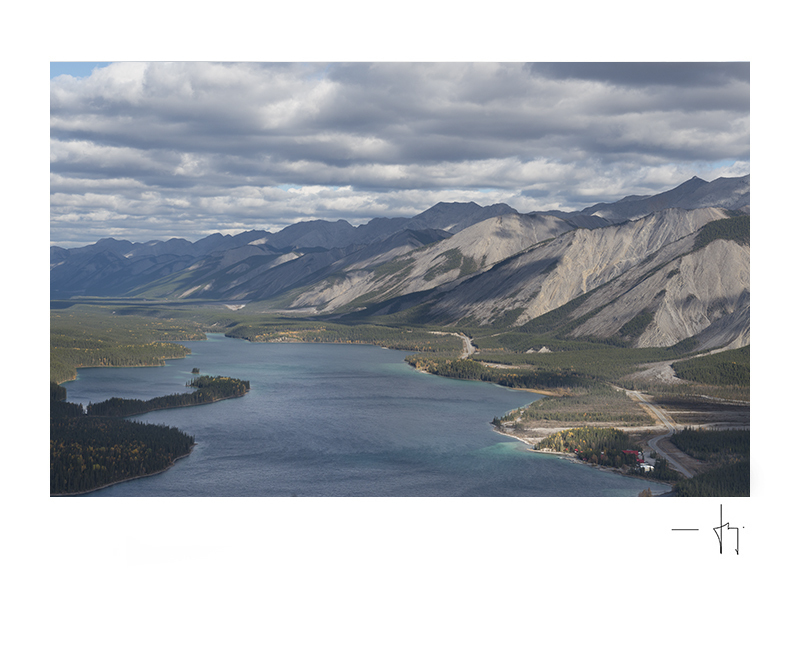 In the next image, you can see the Northern Rockies Lodge and the Alaska Highway in the lower right corner of the image. 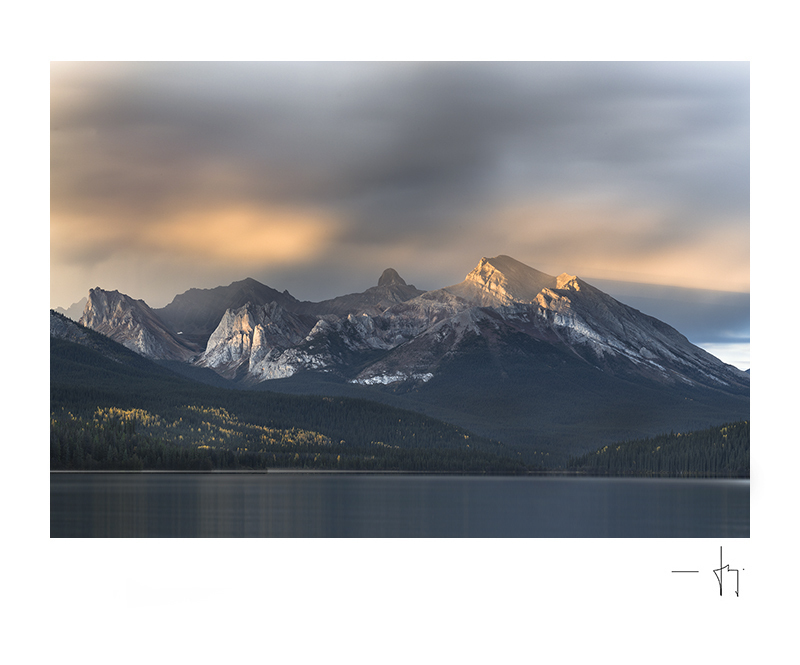 Technical Details: All images were made with a Nikon D800E and the Nikon 24-70 f2.8 or the Nikon 70-200 f4. 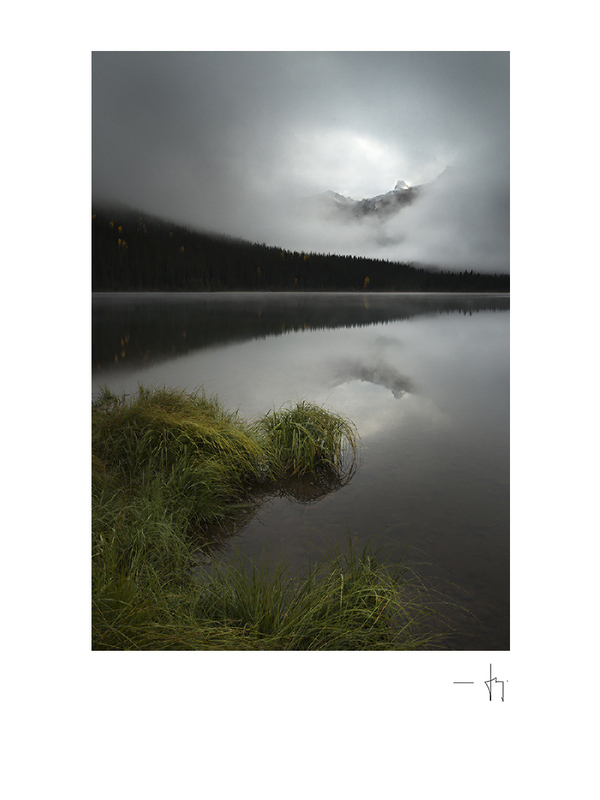 In a number of the images, a B&W ND 1.2 times filer was used to soften the almost continuously rippled lake water. 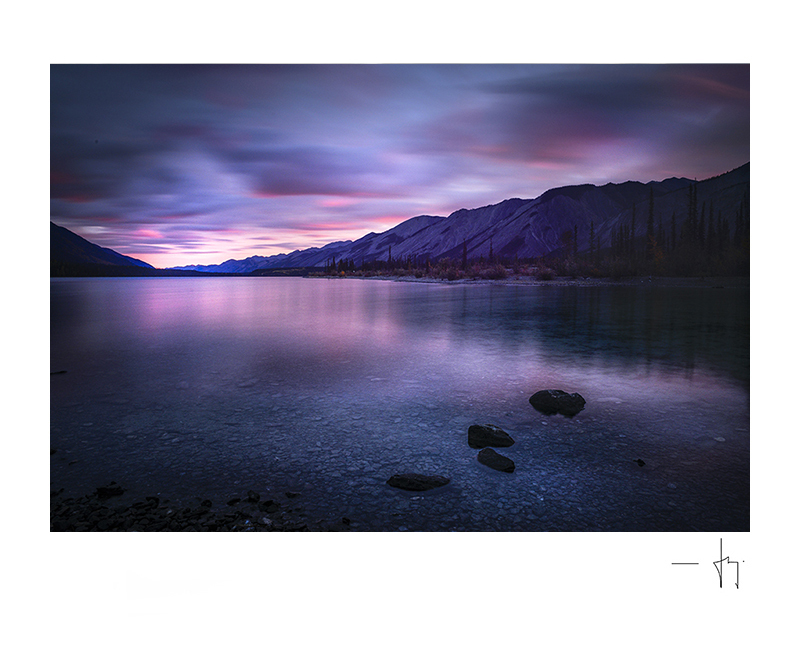 All images copyright of Maru Landscapes - 2010. 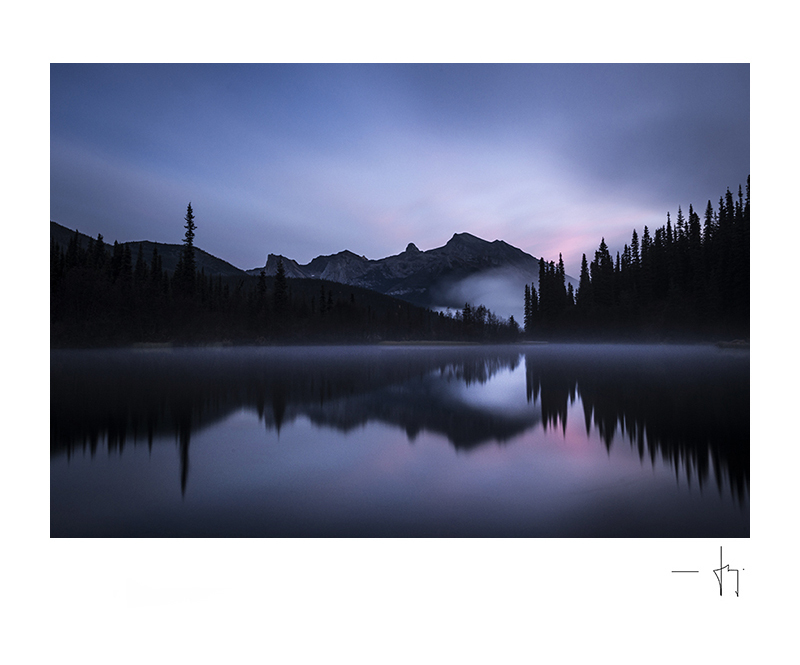 Landscape Photography of the Pacific Northwest.